BOOM! 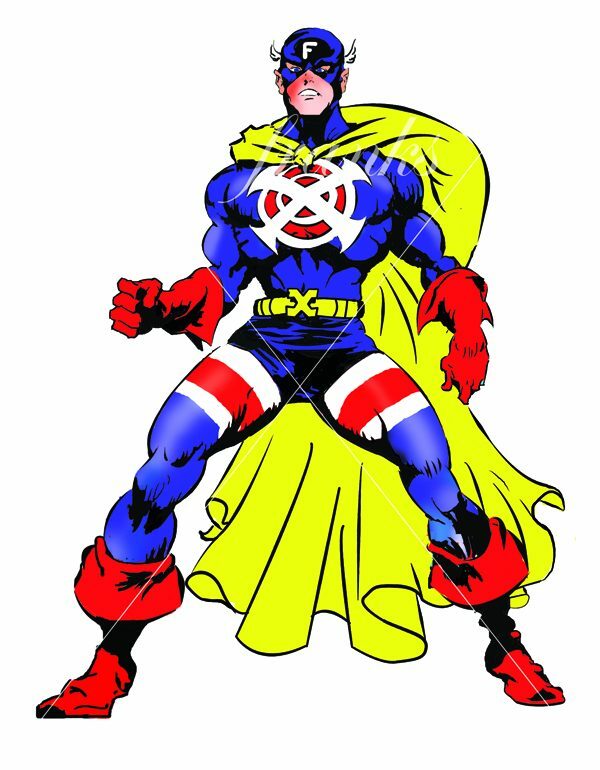 This particular superhero will soon grace the aisles of the Dallas Techno-exhibition circuits, promoting the various database management suites the company offers. Each DBM suit has it’s own unique character which consumers have now grown accustomed to, giving a nice heroic twist to what many people see as an otherwise sterile and overly photo-orientated sector. The Most Experienced Picture Strip Artist in The Business! Advertising comic strips and comic art. Character Development, Pop Art, Animation (key-Frames), storyboards, cartoon-… Show more. Send a message directly to Dave Franks. D&AD Gold, Elit Book Awards USA, Gold, USA Best Books Awards (Honorary Finalist), Business Continuity Poster Awards, Silver. — Brian Sewell, Art Critic, London Evening News, TV Celebrity and former Art Dealer at Christie's Auctioneers, London. The Most Experienced Picture Strip Artist in The Business! Advertising comic strips and comic art. Character Development, Pop Art, Animation (key-Frames), storyboards, cartoon-art, Conceptual-art for Gaming etc. All work either vector or traditional. Awards: D&AD Gold, Elit Book Awards USA, Gold, USA Best Books Awards (Honorary Finalist), Business Continuity Poster Awards, Silver. Clients: Ford, ICI, Kodak, Boots, Dulux,Texaco, LWT, Polydorm,Amstrad, BBC, Philips, Mitsubishi,Telecom, Golden Wonder, Polycell, Interflora, EMI, Citicorp, Quantas, TSB,Weetabix, Army Recruitment, British Oxygen, Pepsi, Sanyo, Barclays, McDonald's, Adidas, Vogue, Guinness, etc.